It has a supercharged 6.4 liter eight which cranks out 707 horsepower, over six hundred foot pounds of torque. 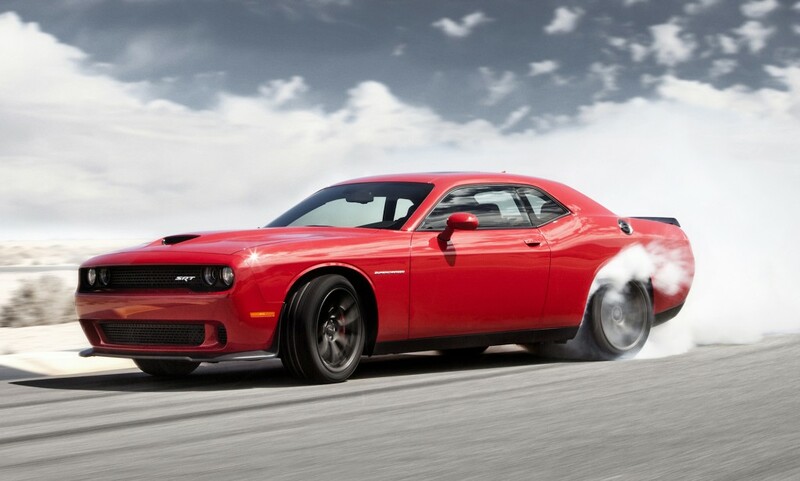 If from a dead stop you stomp on the accelerator, hard, the Hellcat will just spin the back tires until they explode. There was a recent test by a major automotive magazine perversely designed to see which car could burn through a whole tank of gas in the least efficient and most eco-harmful possible way. In that test, a Hellcat was put through one full-throttle quarter mile after another, over and over again until it ran out of fuel. It managed to get four miles to the gallon. Four. This car is the absolute antithesis of creation care, blaringly, ragingly, willfully so. And Lord help me, but the fourteen year old boy in me can't not kind of want it. In the next week, my denomination will gather and earnestly discuss divestment from fossil fuels. That's not a bad thing. If you fly commercial now, your carbon footprint and energy consumption are about equivalent to driving a ten year old Honda Civic. Meaning, that time in coach is as environmentally friendly as you driving a vehicle that gets 35 miles to the gallon on the highway. Not bad. That's particularly not bad against the average vehicle in the United States, which gets 21 miles to the gallon on average on the highway cycle. The Hellcat, when loping along the open road at 80 per in the top gear of its eight speed Torqueflite transmission? It puts down about 20 mpg, pretty wretched for a two door, and almost 57% worse than flying. Here's the thing: that entire metric changes when you aren't driving alone. Let's say I were to have taken two of my fellow Presbyters on a three day cross country road trip from DC to Portland in a Hellcat. It's a big spacious 'Murikan car, after all. Our net energy consumption and emissions per person would have been the equivalent of a single individual driving a vehicle getting 60 miles to the gallon. Meaning a transcontinental journey in the most absurdly overpowered production muscle-car in the history of internal combustion engines would be a nontrivial 70% more eco-friendly than flying. Most attendees of this national event have no choice. You fly, because this is a large nation, and crossing it overland takes days and days. You fly, because you are too busy not to fly. That's how we live. Busy busy busy bees. But there is an inherent ethical dissonance in the jet age convenience of a fossil-fueled air journey and divestment. A coherent ethic needs to encompass both our corporate/systemic and individual choices. Both have their pleasures. The Hellcat's basso rumble pouring through an open sunroof with the cool air of a Southern summer night, the car filled with friends and music and the sweet smell of honeysuckle? That's not an evil thing, of itself. The face to face with a far-away colleague, renewed once again as you gather from across the continent to share common faith and purpose with thousands of others in a great big PresbyCon? That's not evil, either. This may not be a bad thing, although it'll force some changes. The church, I am convinced, will become once again more local. Our pattern of creating relationships will change. Where they are national in scope, they'll be driven by lower energy net-mediated conversation, or will take into account the longer travel times and throughput costs of renewable/sustainable energy transportation.